One of the first things that student aromatherapists are taught regarding essential oils is that their prices are vulnerable to various market forces. This includes the effects of extreme weather such as hurricanes, floods and drought, plus wars and territorial disputes etc. And everyone who becomes fascinated with aromatherapy eventually discovers that some essential oils shoot up in price unexpectedly from time to time , or simply become unavailable. This situation doesn’t just affect our industry of course, because essential oils are used by the fragrance and flavour industries too. And on top of frequent natural disasters, all the manufacturers who use essential oils have had to learn to put up with continual bureaucratic meddling from Brussels over the past 10 years. It just never seems to end. The article that follows from The Guardian highlights the effects external forces exert on the perfumery industry, and although some people may not think that this is relevant to aromatherapy I can assure you that it most certainly is. All of the issues mentioned in this article have been impacting the supply of quality essential oils and the products that contain them for the 30 years that I’ve been in the aromatherapy industry. Some of you may be aware of these external influences on our raw materials, but for many of you it will be new information and should prove an interesting and thought-provoking read. However, please ignore the reference that jasmine, rose etc ‘. . . cannot be synthesised in the laboratory’, since of course, they can and are. The raw ingredients in famous brands are vulnerable to political upheaval, changes in agricultural practices and natural disasters . . . The perfume industry is facing a major problem: maintaining constant levels of quality is crucial, but it is increasingly difficult to obtain a regular supply of all the necessary natural ingredients. 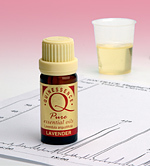 Essential oils such as jasmine, rose, vetiver, ilang-ilang, iris, vanilla, sandalwood or lavender cannot be synthesised in the laboratory. But supplies are dwindling and need to be protected, in some cases by the perfume industry itself. In 1987, for example, Chanel made an agreement to buy all the jasmine flowers produced by the Mul family, which has been the main source of the flowers in France for five generations. 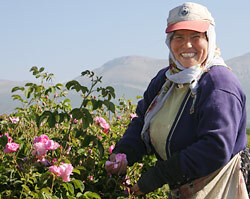 Jacques Polge, Chanel’s top “nose” since 1978, made the decision when developers started trying to buy up land around Grasse, where the Muls cultivate three hectares of the precious plant. The secret to getting the best possible results in aromatherapy is to only use the very highest quality, pure essential oils that were sourced from the best growing regions. This means you must be 100% confident that your choice of essential oil supplier is the right one.